Although many parents are highly involved in their children’s education, there are many who are not. If you are not seriously involved in your children’s education, you are just as responsible as their schools for not adequately serving your children. Parents, you cannot simply depend on schools to offer your children a comprehensive education. A comprehensive education encompasses children being intellectually stimulated and engaged in their studies when they are at home. If you are a parent who lacks the education to help your children with their homework, the least you can do is make sure they are doing their home and have frequent discussions with them about what they are studying and any problems they are having in school. By doing this, you will be able to see what your children’s teachers see as things you could be doing at home, based on your abilities, to aid them in improving their academic achievement. If you are not able to meet with your children’s teachers in person, arrange to speak with them on the phone, even if it’s just for a brief period of time. If you have access to a computer, then you could communicate with their teachers via email. Instead of buying your children all of these toys for Christmas, get them some educational material and software that can improve their academic deficiencies. You have to find creative ways to be involved in your children’s education. Being actively involved in your children’s education helps them to recognize that their education should be a top priority because you take their education so seriously. When you are not actively involved in your children’s education, think about what intentional and unintentional values you are communicating to them. Learning should not end when students leave school. You should work to create an environment in your home that is well-suited for learning to take place. Be sure that your children organize their rooms well so that their rooms become spaces where order and discipline are encouraged and expected. Valuing order and discipline has important transferability in their academic studies. When your children are not doing well in school, you need to encourage them to do better. Don’t allow them to give up on their academic studies because they are having difficulties with certain subjects. If you don’t know how to do anything else, you can motivate them to keep trying. Let them know that you just want them to give their best efforts in school. While I was in the K-12 educational pipeline, I had the great fortune to have parents who were tremendously involved and supportive of me achieving at the highest levels academically, athletically, and socially. Even though I did not need any assistance with my homework from them, they would always ask me probing queries about my school work and homework, which communicated to me that I could never stop striving to become a better and better student. If you are a parent who has the time and ability to help another parent’s child to succeed, then I would encourage you to reach out to that parent and child. Parents, don’t simply blame schools, administrators, and/or teachers for your children’s educational outcomes. 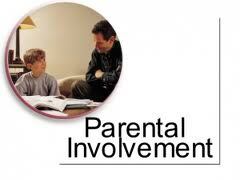 Become an active participant in the type of education your children receive.